Toon Bambinos - Standard human characters (G5) of toon kids with facial animation (morphed faces and phonetic). They are modeled in Zbrush. 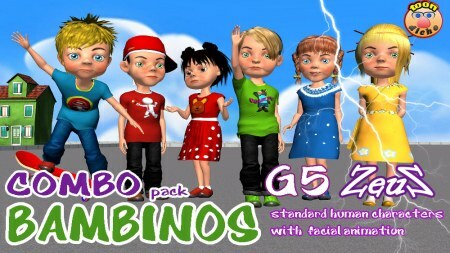 Description: Standard human characters (G5) of toon kids with facial animation (morphed faces and phonetic). They are modeled in Zbrush. I love toons ..Many thanks.